How Le Monde is connected to "uncle" Sam😉 and why is it peddling fake news and influence the Indian Elections. There is not a single new fact in Le Monde story. It's a mischievous attempt by Le Monde to discredit #RafaleDeal which benefits owner of its French media competitor. Foreign media is meddling bcs it has deep links to the family of RG. News: Billions of taxes were waived for foreign investors in France since Macron took over. Le Monde even speaks the language of RG by calling Anil Ambani as:close friend:of Modi. That France made deal with India to do tax corruption in France! What Le Monde doesn't tell is that Reliance Atlantic Flag France's tax dispute pertains to 2008. When there was no Social Media we found ourself stifled and suffocated. We also aspired to reach out to many and express our views on issues that were dear to us. But we did not have an easy access to media. News Channels invited their own selected elites from Lutyens and conducted their own stage managed debates. Those elites would give a sermon to the Nation as if they were the only ENLIGHTENED ones in the country and leave the newsrooms thinking that they have done a great job. They used to think they make great impact on the society and its so easy to manage the PERCEPTION of the people. They would hop from one channel to another preaching us and leaving us CONFUSED and off course FRUSTRATED. I am sure majority of us felt the same. Research shows that people are more likely to vote for what they perceive as their team’s best interests rather than their personal best interests. Political opinions function as “badges of social membership." Don't talk at them and history tends to reserve its sharpest judgement for those who see great peril coming and do nothing. It's only the Indian Urbanite who can stop the return of CONs & LUTYEN’S GANG. ELECTION COMMISSION in Indore is carrying out a drive to motivate the urban voter to come out and vote as in the recently concluded assembly elections, there was a fall in urban voters. Undoubtedly many of us have been advertently or inadvertently culprits in the past that allowed a single party with the help of Lutyen’s gang to continue its rule for almost 55 years. It was our fault that we made India Look weak. We who live in approx 4000 cities, the supposed to be Educated lot in comparison to people in villages, are responsible for the country’s plight. The poor, the uneducated, cannot bear this responsibility as meeting daily needs by itself is a tedious job for them. Ayodhya dispute is the harshest indictment of our Judiciary. It reflects poorly on the Judiciary of independent India that a dispute on such a critical matter has been languishing in courts since 1949 when civil suits were 1st filed for ownership of the plot. in 1886 Mahant Raghubar Das moved Courts to seek permission to build a Ram Mandir outside Babri premises. We were not an independent country then but we are now and the righting of a historical wrong committed on its people is the duty and true test of sovereignty for any nation. 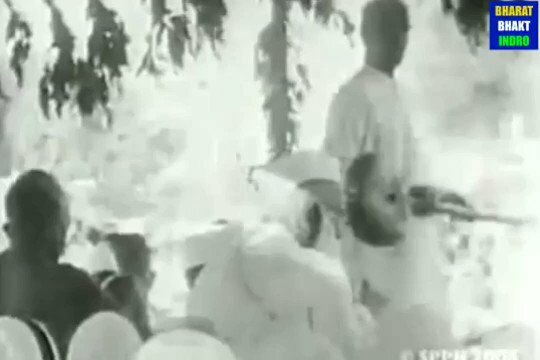 The dispute exposes the Marxist ecosystem which conspired to deny Hindus the right to worship Shri Rama at His birthplace. Dr K.K. Mohammed, former Regional Director (North) of ASI says in his autobiography that Leftist historians prevented an amicable settlement of the dispute. Just pick up the details of award waapsi gang and intolerance gang and one would come to know who all are they. These were the same kind of people who opposed India carrying out the Nuclear tests in late 90s and shouted their lungs out when SIMI was banned. One thing is clear, they can certainly not stop if the Govt is determined to do something. The only thing they can do is manipulate perception of the people. If we look back, after the Parliament attack ; the Govt’s inaction, the mishandling at Agra summit, the manner in which Kandahar hijack was handled quickly changed the perception of the people. All the hard work done by Vajpayee Govt went down the drain. Shame on our opposition parties and the faux elites who are questioning the February 26 strikes by our Armed forces and demanding evidence, going to the extent of saying why there's no stink blah blah. Shame that with 24x7 whining at the behest of Bunty and Babli, the country ended up trivialising what was arguably the most audacious air attack we have seen or will see anywhere in the world in our lifetime. 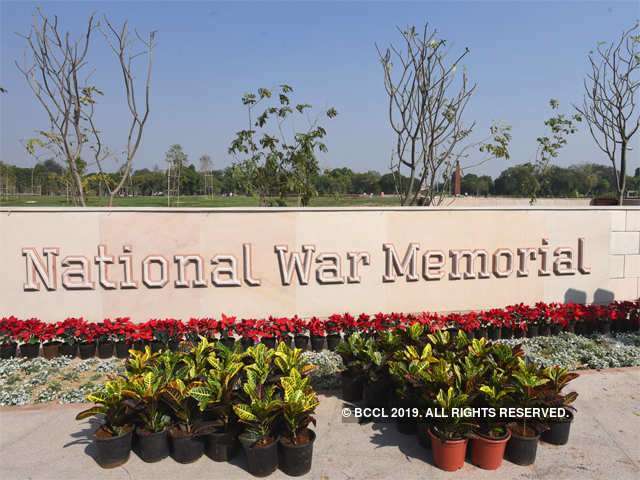 A War Memorial is a building, monument, statue or an edifice to celebrate a war or victory or to commemorate those who made the supreme sacrifice for the nation. It provides an opportunity to develop a conscious connect with the site, with Armed Forces and the fallen heros in whose memory the structure is built. 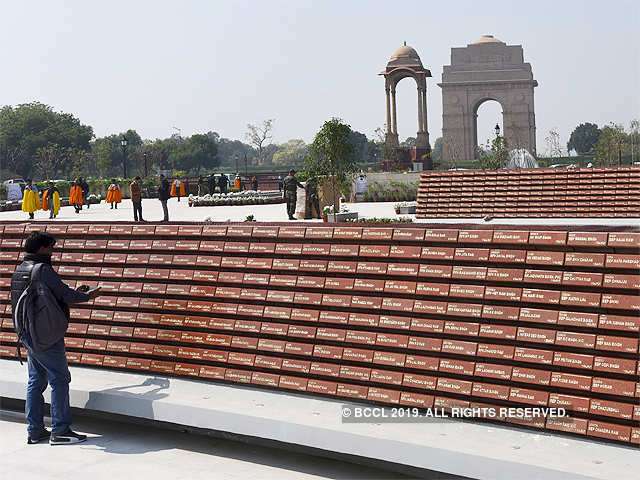 Our #NationalWarMemorial will invoke a deep, moving experience & will serve as a symbol of inspiration for future generations. Since-Independence, more than 26,000 soldiers of Indian Armed Forces have made the supreme sacrifice to defend the sovereignty & integrity of the country. 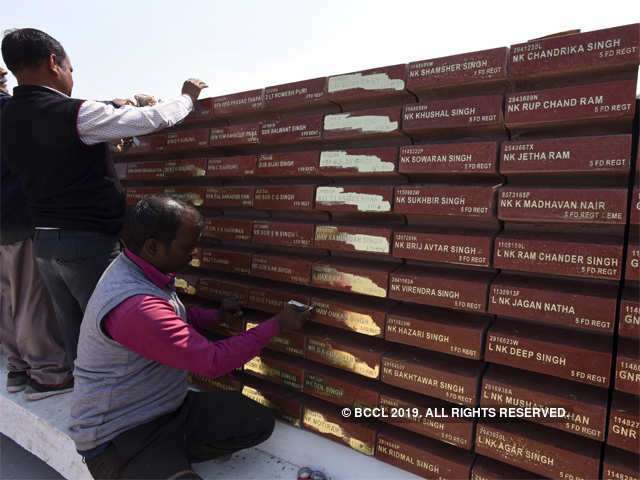 Names of 25942 martyrs have been etched in golden letters in the #NationalWarMemorial on individual tablets of red granite. 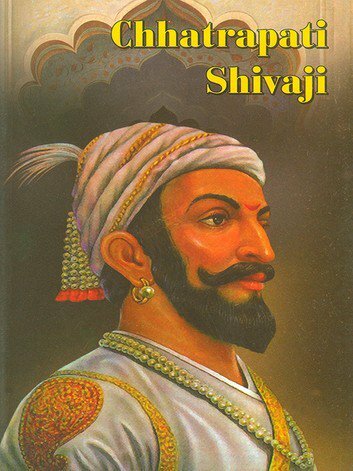 One of the most progressive, sensible rulers in the history of our country was Chhatrapati Shivaji Maharaj, Bravest Maratha Ever. Tales of his bravery are countless, stories of his victories innumerable, but where there's greatness, there's misconception too. His father Shahaji served alongside Malik Ambar who defended the Deccan region, the first to be done by any Maratha against Mughals. He always tried to free their kingdom from Sultanate Of Bijapur as well as wanted to throw out Mughal rule in India & establish a Swaraj Empire. His mother Jijabai was a pious & far sighted lady. 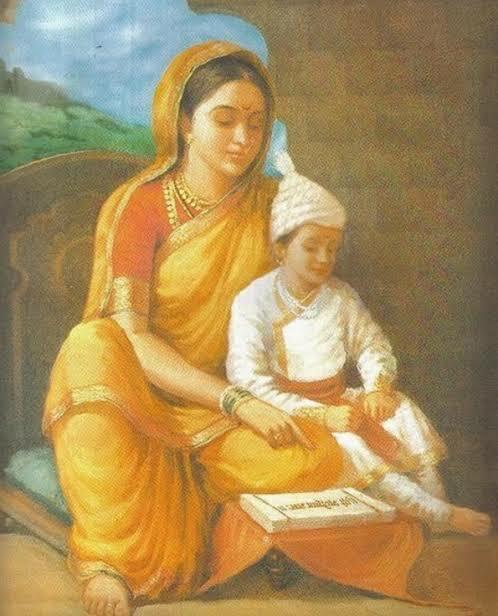 She's regarded to be the master of Shivaji’s bravery. He was extremely devoted to his mother who was also very religious. This religious environment had a great influence on him and he carefully studied Ramayana and Mahabharata. He further says that the place where he is based currently is a shithole and not the paradise the mullahs promised, where all he is doing is roasting his nuts in the hellfire. He has threatened to caution all the young stupid jehadis down under.. The taste of ashes in Indian palates is finally being expelled after eons of disheartened spills in the sands of time. The expressed vision of Govt to rebuild India on its Culture & 21st Century digital norms has lit a desire in each citizen. We were hobbled for centuries by Barbarians from the North and Colonialists from the sea. No more. In 1947 a tattered nation left deeply divided has rebuilt itself from its bootstraps to its robes. We are now at the cusp of a $3 Trillion economy, 2019 figures. It's an acknowledgement internationally that we are a fastest growing economy today. Our Strategic Security firmly in place by Nuclear powered Submarines on Deterrence Patrol with Armed Nuclear Missiles has placed India in the League of Major Powers. We can no longer be ignored. Taking 3 crore people out of the 7 crore tax payers from the tax burden plus hassles totally, is mind blowing. We were demanding reduction of taxes to half (without any exemptions). But only demanding; not expecting. Govt knows what it can. Completely exempting individuals with net income upto ₹ 5 lakhs (after deductions under various sections), from paying any tax at all, is no less a wonder. It’s an unprecedented steep jump from ₹ 2.5 lakhs in previous year. If there’re 3 earning members in the family, can you imagine the savings achieved!! Another fantastic provision is the Pension Scheme for people in unorganised sector. You can encourage even domestic helpers to subscribe. "Worst thing that centuries of slavery did to us as a nation is that we began believing in the divine right of some ppl to rule over us & our divine duty to accept their lies, curses, humiliations they heaped over us but their blatant falsehoods"
Let us pledge not to give falsehood in public polity that one hour"
Rahul Gandhi has now got his gloves off and is bereft of even a shred of empathy even for an ailing man, and we have a great nation to guard. The idea of India is too precious a dream to be surrendered to the greed of an immoral politician. A heart of gold cures a heart ailment. What @narendramodi does on counting day. Indian Railways jobs alert! 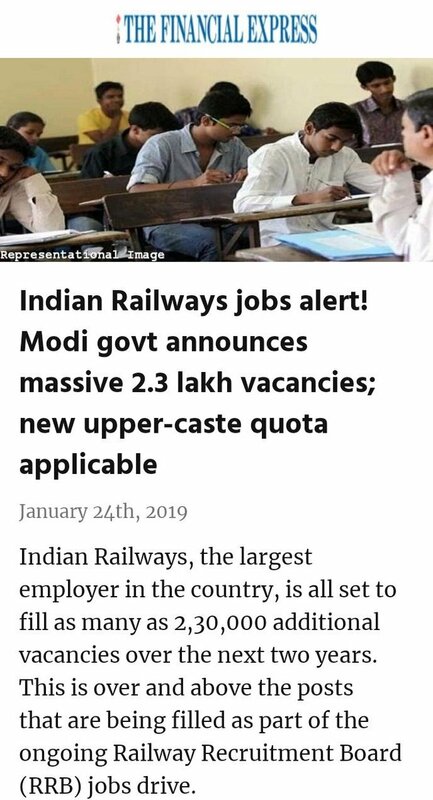 @narendramodi govt announces massive 2.3 lakh vacancies; new upper-caste quota applicable. India ranks in 'Bloomberg Innovation Index’ of 60 economies for first time ever. All of us who take time out to push our beliefs in @narendramodi Govt for a 2nd term and those who despair relentlessly against the negativity surrounding us, this is the proof that a yellow journalism rag is also accepting that we're making a difference. So never despair. We will win. We will change this country from despair of pseudo secularism, communal politics, corruption, to hope and prosperity for all. 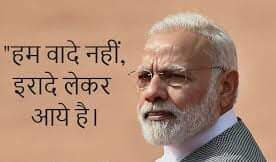 There's no doubt that @narendramodi is the last hope for India. 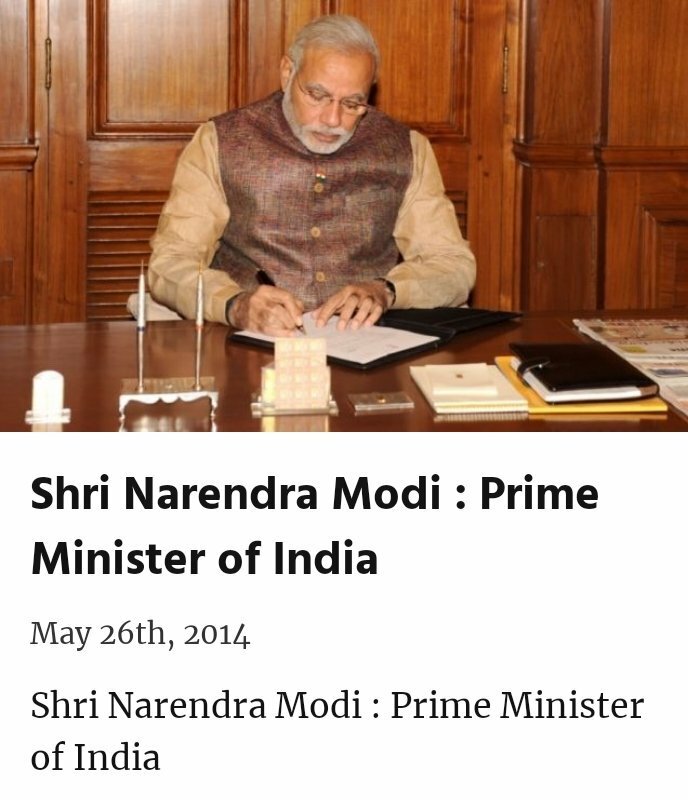 Request everyone to share achievements of the Govt, the +ve initiatives etc. With a installed capacity of 71 GW of Renewable Energy, India is leading the pack among major economies. Another boost for startupIndia! Startups can now list their pdts & services on GeM( Govt e-marketplace). With this, Startups will overcome their greatest hurdle-finding market for their pdts. It will enhance their Ease of doing business! 2019 election is battle of survival & revival of Hindu identity against forces that bear more than a resemblance to the then invaders. Since independence, anti-Hindu forces have left no stone unturned to destroy Hindu civilization. This is world's oldest living religion in its full glory. Good vibes of our faith is only reason we are all living Hindus. Ofcourse it's the Indian Army too! Watched #Uri had tears in my eyes with their war cry....they die so we can live. 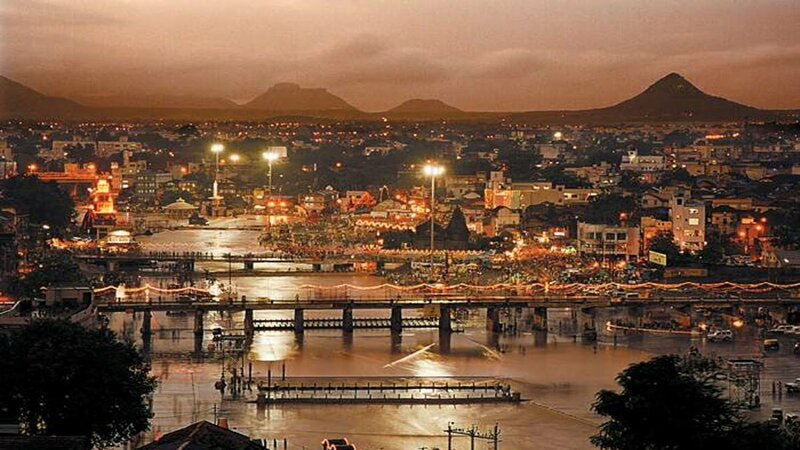 Consecrated by the falling of the drop of Ambrosia from heaven, the four Kumbh Mela destinations of Allahabad, Haridwar, Ujjain, and Nashik are situated on the banks of sacred rivers. 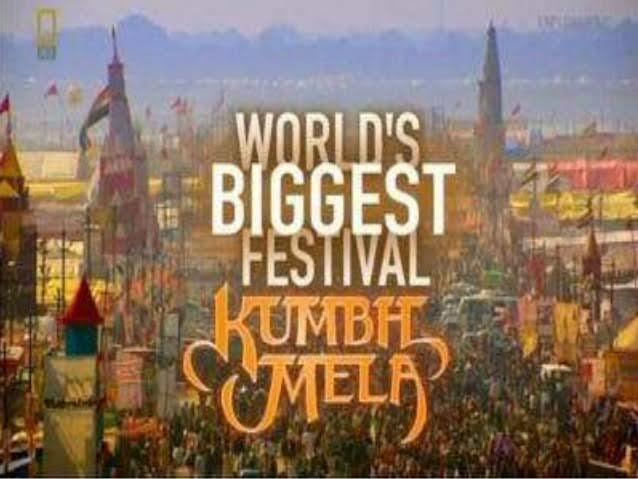 and endure the hardships that come bundled up for being an integral part of Kumbh Mela, a congregation of millions, gathered together to be freed from the vicious earthly cycle of life and death and move towards a heavenly realm, which knows no suffering or pain. '59-minute' scheme by Modi: Whopping! 1.12 lakh loan applications approved; Rs 37,412-cr loans sanctioned. that the Congress has made into its article of faith. Secularism will lead to the annihilation of Hindu Dharma & before we know we'll have become another Chrislamist country. So, it's my earnest entreaty that in coming GE, we must decisively defeat these anti-Hindu elements. And ensure that BJP is returned to power with an absolute majority. Never mind if Modi Ji hasn't done much for Hindus in this term. The rest will ensure that whatever has been done will quickly be undone. See the actions that Kamal Nath, Gehlot, and Baghel have already initiated. The intent seems mischievous. Is it that what they couldn’t say in Parliament, are now demanding through the Supreme Court! By asking this additional 10% to be out of the existing 50% quota for SCs/STs/OBCs do they want to create unrest! On this ground alone the petition should be Dismissed. And suppose SC keeps hearing the petitions but not decide till 2019 elections! What’s going on in the largest democracy! Suddenly a popular Govt is the sinner, for whatever it does since 2014. It's forced to revoke leave and reinstate an allegedly tainted/corrupt CBI Director. Even if help of selection panel was sought to find a suitable candidate; so what!